Recently I read about this Peter Pan syndrome-the refusal of the adults aged between 25 & 35 to grow up. And I thought, well that’s so me! I am 24, just employed & in absolute denial that I need to grow up. Heck I can’t even find myself a flat to rent, forget about saving up to buy property! I still go around having crushes, never once thinking about settling down. If given enough cash I’d rather buy a shitload of books than a cooler in summer. What’s wrong with me? I have no idea where I want to see myself 5 years from now. Famous author? A senior software engineer? No clue at all! Focus on the money they say. What if you have the money but get no time to enjoy I ask! Live in the moment they say. What if this very moment, what I decide will mess up my future? All so confusing. I feel like am back in my teens, just that now I don’t want to grow up. It’s not like I can’t decide stuff. Yes I can. I got through the first campus selection my college had, so that must mean something. People are paying me to work so I must not be all that useless. But then again, when I am deciding what to have for breakfast I call up my Mom. I know she will scold me, yell at me for forgetting to get a packet of bread loaves last night, yet I will call. I will call again when I am packing for a trip back home. I need her checklist to know if am packing right. Yes it’s my first year away from home but then I doubt it’d make any difference if it wasn’t. Life should come with a guide book. Someone up there should definitely write one. Or come in my dreams & preach a chapter every night. I believe in learning as I make mistakes. Praying & hoping that none of the mistakes I make turn fatal. People will judge, people will use you. Some may turn into genuine friends some into fake ones more dangerous than enemies. I’ve no idea how to identify them. I have no idea how to react when a person criticises me. If am being used I doubt I’d even notice! How does one perceive a situation? How do you read somebody’s mind? What’s the secret behind being street-smart? Again, no clue. Hmm..so one day I’d like to relive huh? Let’s see…should it be the day I first met my school time crush?The day I had my first date? The day I topped in my graduation honours? Definitely the day I landed myself a job? 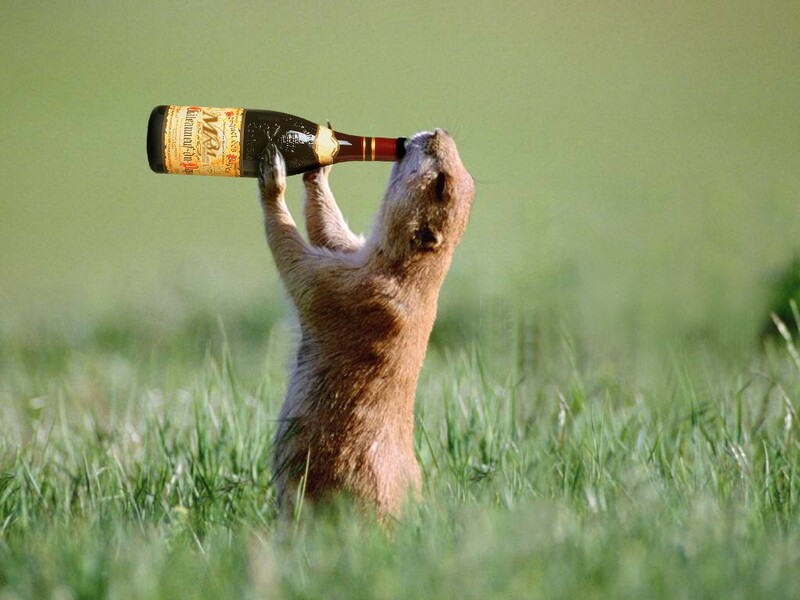 Naaah….it’s the day I had a booze party with my roommate!! Yes,check the name, am a girl & am publicly acknowledging that me & my roommate(female…duh!) got drunk one Sunday night! Before you make any assumptions with your raised eyebrows or start imagining stupid stuff thanks to the American Pie kinda movies, let me tell you-all we did was drink,get high & laugh our guts out! Two girls-not visiting any pubs (Gurgaon me bar & pubs?Classic case of aa bail mujhe maar! ), no drunken driving, no abusive, irrational, indecent behaviour, no devdasi syndrome either …drunk for the sake of pure fun! How we managed to buy a bottle is another story. So anyway , we munched on tasty chicken legs, got high on vokda & danced in our tiny room as my laptop blared Linkin Park & Daddy Yankee. We laughed like we’ve never cried, called our exes & made a joke of them (I finally told my ex that he’d ruined my first kiss-I felt like the princess kissing a frog,sadly the frog didn’t even turn into a prince!). Somewhere after an hour or two, we calmed down & slept peacefully. If I were to repeat a day,I sure as hell would repeat that amazing night minus of course the hangover. Lesson learnt-never drink on Sunday night! When I was a kid, not even inducted in pre-school yet, Mom says I used to grab a pen and draw circles on magazines pretending to be writing. I still do the same…only now the pages are initially blank and the circles are replaced by words. But the pretence is the same. Today of all the days I realized why it’s not always possible to express everything in writing. Why sometimes you just feel so chocked with emotions that even words don’t help. The Deputy Head ..” of course, the who’s who part was left unsaid. But today my writing has failed me, because I don’t know how to express what I am feeling. Facing death up close, it’s my first time. 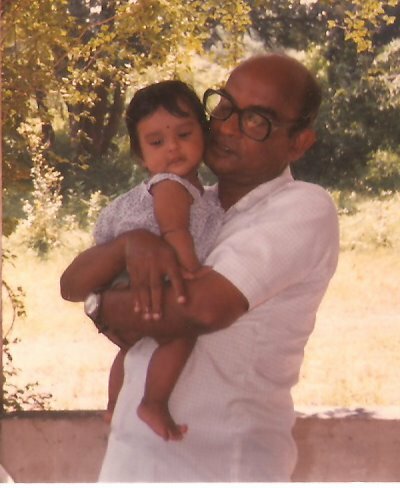 And losing someone who has always been a pillar of strength, an inspiration since childhood, my Grand Pa, can never be easy. I associate writing with his loss, because he was a person who always amazed me with his talent. A Physicist & a writer, Dr. Kulomani Samal was a name many scientists & writers from Odisha know very well. He showed me how to find your passion in supposedly opposite streams-art & science. He made me love Physics and corrected my pronunciation as well. In fact it was he who told me about UK & US versions of the language. He would often make me read aloud newspaper headlines when I was a kid & poke at my vocabulary from time to time. He’d give me Odia poems sometimes to translate. I was the happiest when last year after reading something I’d written, he’d expressed his desire that I write his biography. Such a versatile personality he was & is still such an inspiration for me… He left for the heavens today…at his study table, writing…Far away I can’t even be a part of the funeral. Writing to me is fulfilling your dream Aja, to make you smile up there when you see me, proud of your granddaughter.